Single separator is a kind paper making machine, which is used for secondary breaking and screening of waste paper pulp after the screening and pulping machine. 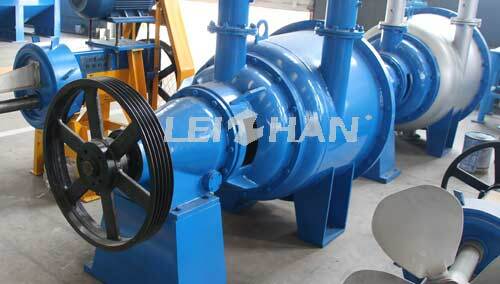 Leizhan offers six type Single Separator to meet different production need. The six type machine have the same concentration of input pulp(2-4%), pressure of input pulp(0.15-0.2Mpa). The biggest difference is the impeller diameter. With the different in impeller diameter, the production capacity, motor power and machine weight are also different. For example, ZDF2 Single Separator has a φ560mm impeller diameter, and its production capacity is 30-50t/d, and motor power is 45Kw. While ZDF5’s impeller diameter is φ1100mm ,its production capacity is 165-265t/d, and motor power is 110Kw. So, you can choose different type single separator according to the paper mill production need and Leizhan customized the installation plant based on practical production.